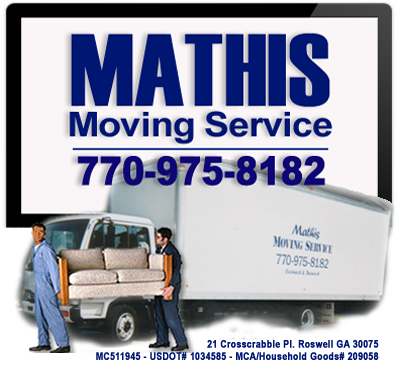 Mathis Moving Service offers commercial and residential moving service. We now serve Georgia and most of the Southeastern region of the U.S. At Mathis Moving Service we work to get your referral and we take the stress out of moving. Thank you for reviewing our services and company information. MATHIS MOVING SERVICE...We take the stress out of moving! Please view our Moving Rates and if you have any questions please call 770-975-8182.